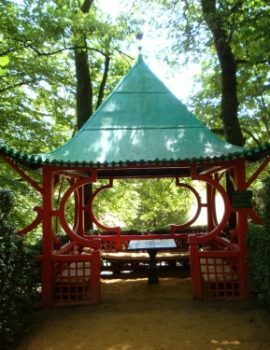 The Eyrignac gardens have elements of architectural decoration recognised as “quality workmanship” one such piece is the Chinese Pagoda situated at the end of a majestic prospect – the Hornbeam Avenue. 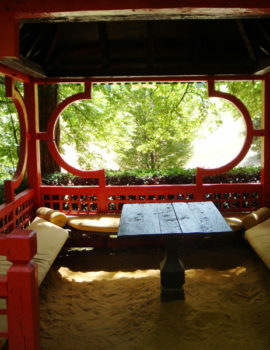 It is not uncommon to find Chinese inspired pieces in 18th-century gardens, so-called Anglo-Chinese gardens. 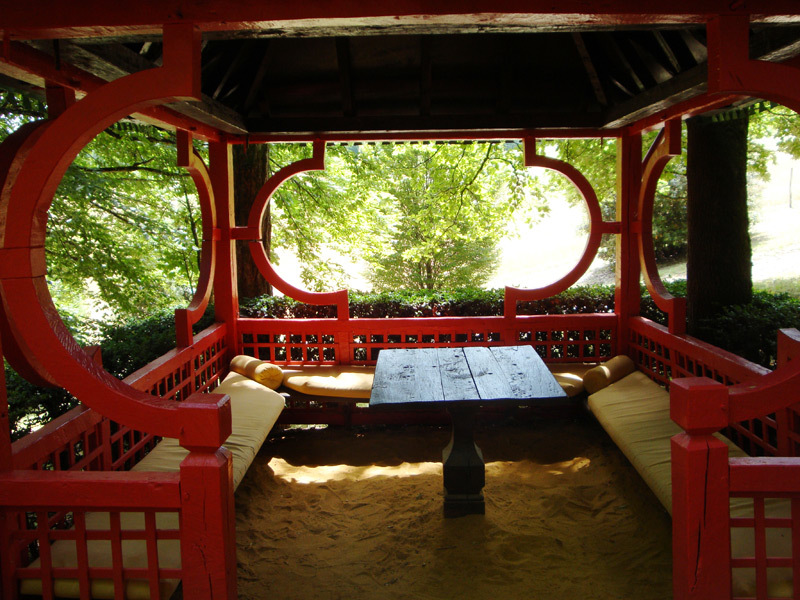 The taste for the Far East and “Chinoiserie” coincides with the golden age of the French East India Company, with the lure of travel to distant and exotic lands from where extraordinary and different objects were imported. 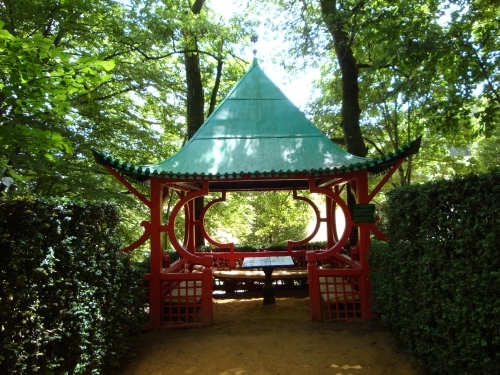 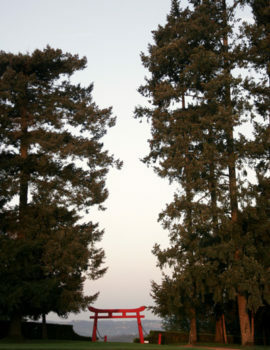 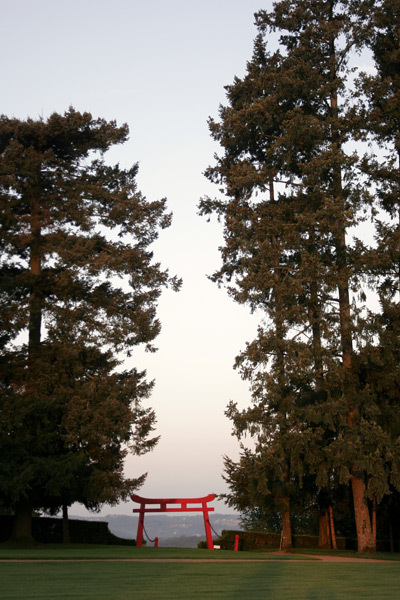 Precious furniture was also sent to China to be lacquered and likewise copies were made of pagodas or bridges in red lacquer to decorate gardens. 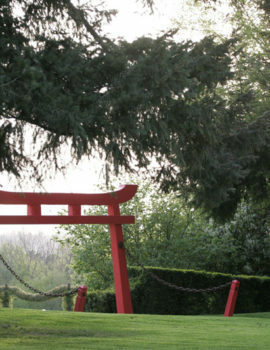 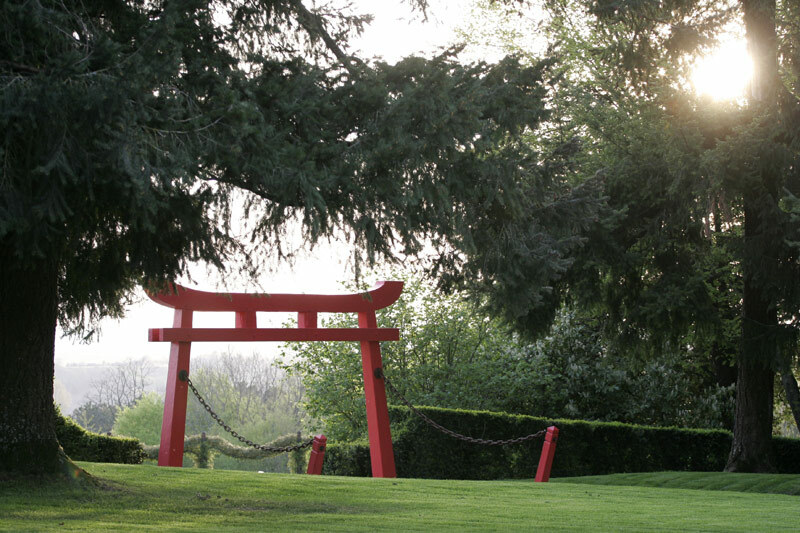 Although surprising in a French garden, the red lacquered Chinese pagoda is in total harmony with the richness that holds sway in Eyrignac. 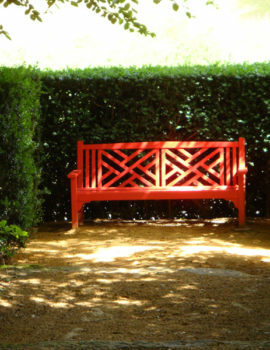 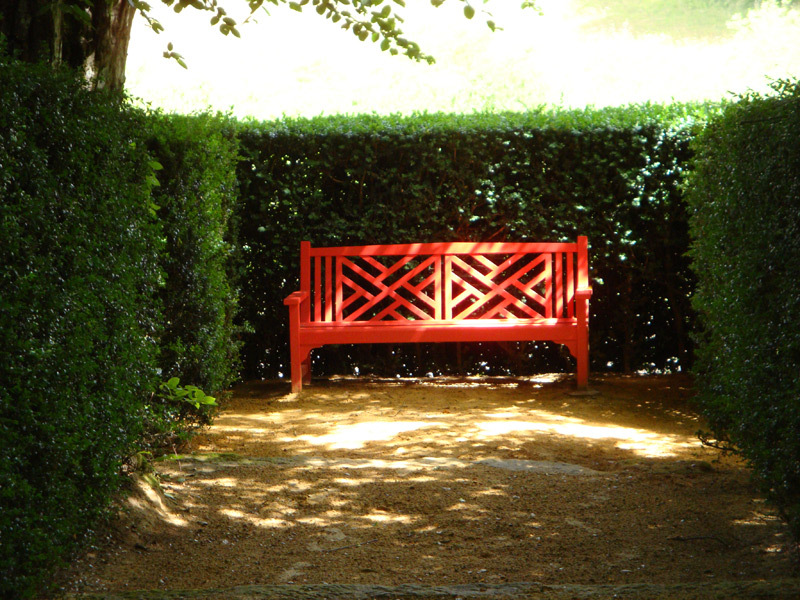 This corner lends itself to a relaxing moment beneath the shade of the trees.